Buttercup (not Butternut) squash tastes similar to pumpkin and has a dark orange colored meat. It’s a bit on the dryer side than the blue Hubbard squash I made the other night. 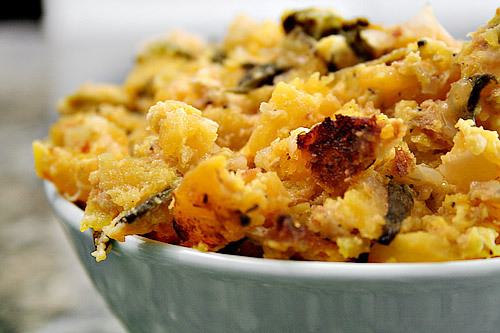 The following recipe makes a great side dish that’s almost like desert. Heat oven to 350°F Cut squash into quarters; remove seeds. In ungreased shallow baking pan, place pieces, cut sides down. Bake 45 to 50 minutes or until tender. Cool slightly.